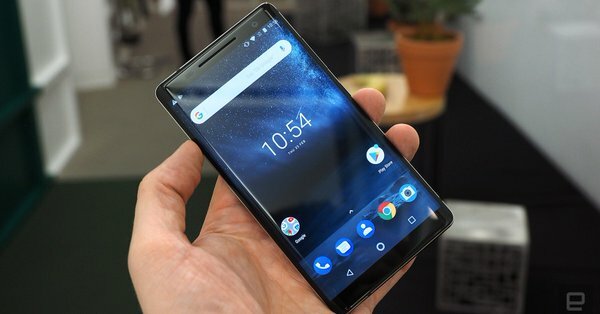 Nokia 8 Sirocco looks great on official renders, but it looks even better on video. Here isthe collection of some good hands-on videos that were filmed today by few lucky tech portals that got a chance to be invited at the Nokia Mobile’s MWC2018 event. All the portals are praising the looks and the build of the device, but all are mentioning that Snapdragon 835 processor. Actually, I don’t know why are they referring to it as a top model since it is obvious that HMD is saving Nokia 9 for later on when that true camera phone will be launched. Anyway, tomorrow there will be many more videos available, but here are a few so you can just enjoy in Sirocco if you are interested in it. Pocket lint did hands-on on all of the devices launched today, but Sirocco is first so take a peak. What do you guys think about Sirocco? Is it a good phone or you would skip it? Why is #Nokia back in the phone business?! Nokia 4G feature phone (TA-1077) and smartphone (TA-1062) passed CCC? !